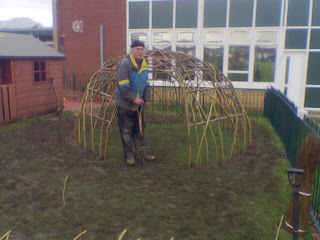 we have been working at Pallister Park Primary School in Middlesbrough this week the weather is decidedly wet and soggy. 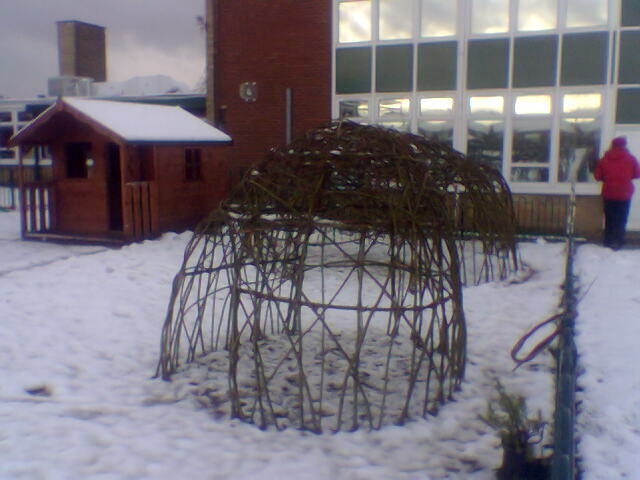 we have been working with the children to make a 'willow village of domes and tunnel. when we arrived at the school we were pleasantly surprised to see leaflets from Middlesbrough Council that featured happy families playing in the living willow maze that we created at the city farm at Coulby Newham. we were so pleased to see that the maze had thrived and has good growth. 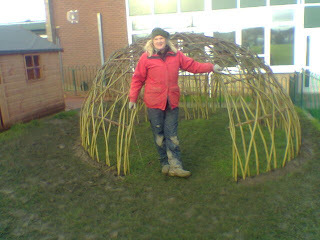 We have been busy building Living Willow Structures. At Merryhills Primary School, Enfield we spent a week working with the children to build their new 'Willow Walk'. The structure was based around a series of tunnels connected to a dome. 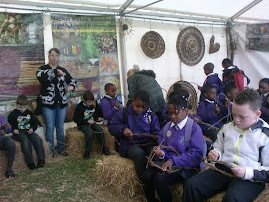 Last Saturday we spent a day at Bedford Modern School working with sixth formers making willow insect sculptures. This week we have been working in Nursery Schools in Cheshire and Didsbury building tunnels and domes in newly created play areas.